With a public more used to live sophisticated Karaoke a Gilbert O’Sullivan concert tour is a risky venture for any promoter these days. 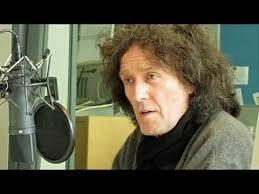 Back in the 1970s and early 80s Waterford born Gilbert (born Raymond) O'Sulivan was a true pop superstar. Managed by leading impresario Gordon Mills, who had previously managed Tom Jones, his was a meteoric rise and throughout the decade he had one of the most prolific, successful and innovative careers in popular music history. Recording only his own original material Gilbert was a true trailblazer for all Irish artists, cracking the UK market at a time when it was almost unique to find any Irish acts at the top of the British charts. Often melancholic and quirky he wrote and recorded some of the finest songs of the decade, which have completely stood the test of time. Responsible for a slew of million selling pop masterpieces bought by an army of young fans who literally worshipped at his feet, Gilbert often cut a curious figure in the pop world, more Amadeus than Abba, yet he managed to break through and find a real niche for his distinctive and often brilliant music. In recent years Gilbert has been gradually re-entering the public psyche. With a back catalogue of true original pop music gems to die for and a pen that is still sharp and composing good new material, his live concerts have been increasingly well attended all over the UK, Ireland and the far east. On his last visit to Dublin, Gilbert played to sell out crowds for almost a week at the Olympia. This time he chose the new, splendid but still largely unknown Grand Canal theatre and his opening night audience was not at capacity as a result. Nonetheless this didn't deter the pop genius and privately shy man from giving a performance to rank with the very best. Showcasing some of his classic pop hits such as ‘Nothing Rhymed’, ‘Clair’ and ‘Alone Again Naturally’ along with brand new material and beautifully coordinated images from his long career, the audience ended the night with a 10 minute long standing ovation. One male fan summed it up best shouting to a stunned Gilbert from the front row ’you’re still a genius man’ something which he had been proving all night long. The finale found a mature Gilbert find his younger pop star Mojo once again. Jumping onto his grand piano to sing the final section of his 70s anthem ‘Get Down‘ his fans caught a glimpse for a few brief moments of the younger man who conquered the music world and who is responsible for some of the finest songs in modern pop history. With a cast of brilliant musicians and backing singers this really was more than an evening of mere nostalgia for an Irish pop icon, it was a master class from one of Ireland’s very first international pop superstars.